In recent years, the European Coil Coatings market has been faced with the problem of low quality material entering the markt. 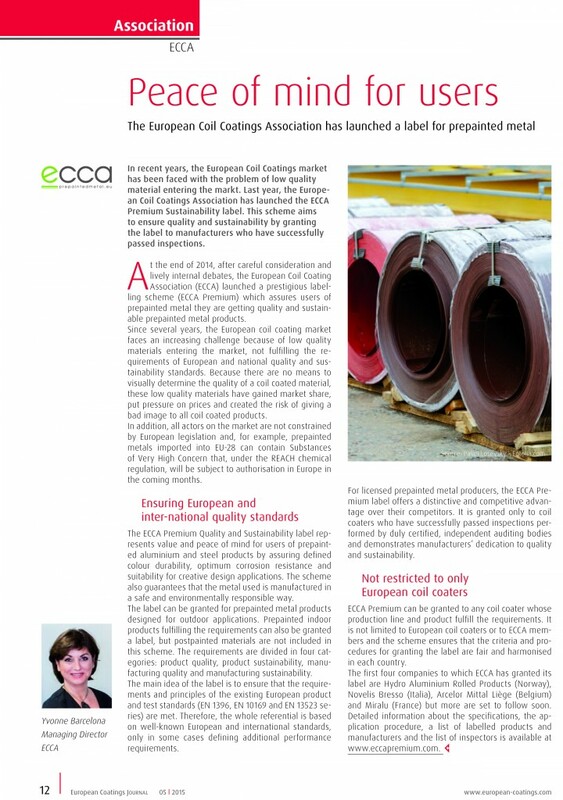 Last year, the European Coil Coatings Association has launched the ECCA Premium Sustainability label. This scheme aims to ensure quality and sustainability by granting the label to manufacturers who have successfully passed inspections. 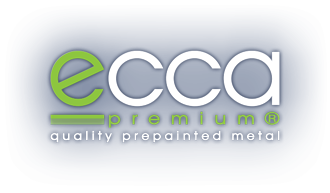 At the end of 2014, after careful consideration and lively internal debates, the European Coil Coating Association (ECCA) launched a prestigious labelling scheme (ECCA Premium) which assures users of prepainted metal they are getting quality and sustainable prepainted metal products. Since several years, the European coil coating market faces an increasing challenge because of low quality materials entering the market, not fulfilling the requirements of European and national quality and sustainability standards. Because there are no means to visually determine the quality of a coil coated material, these low quality materials have gained market share, put pressure on prices and created the risk of giving a bad image to all coil coated products. In addition, all actors on the market are not constrained by European legislation and, for example, prepainted metals imported into EU-28 can contain Substances of Very High Concern that, under the REACH chemical regulation, will be subject to authorisation in Europe in the coming months. 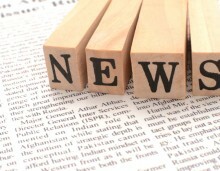 label offers a distinctive and competitive advantageover their competitors. It is granted only to coilcoaters who have successfully passed inspections performedby duly certified, independent auditing bodiesand demonstrates manufacturers’ dedication to qualityand sustainability. 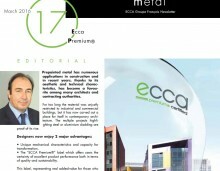 procedure, a list of labelled products and manufacturers and the list of inspectors is available at www.eccapremium.com.